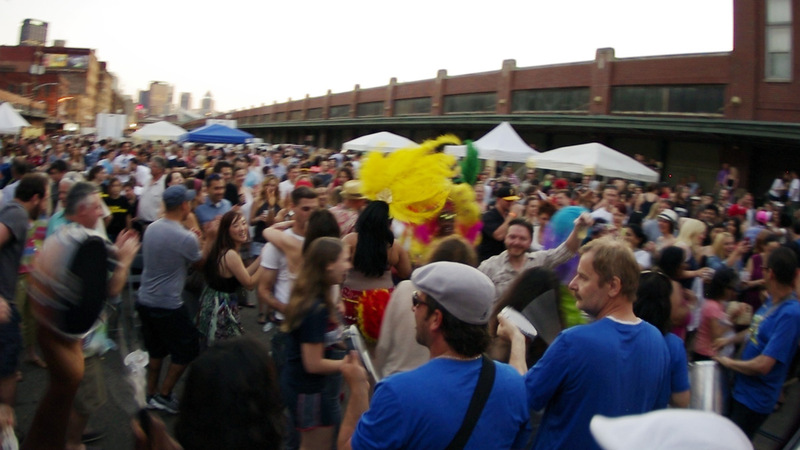 Kaya’s spectacular start-of-summer block party fills the width of Smallman Street with a massive fete of music, Caribbean inspired food and great vibes. 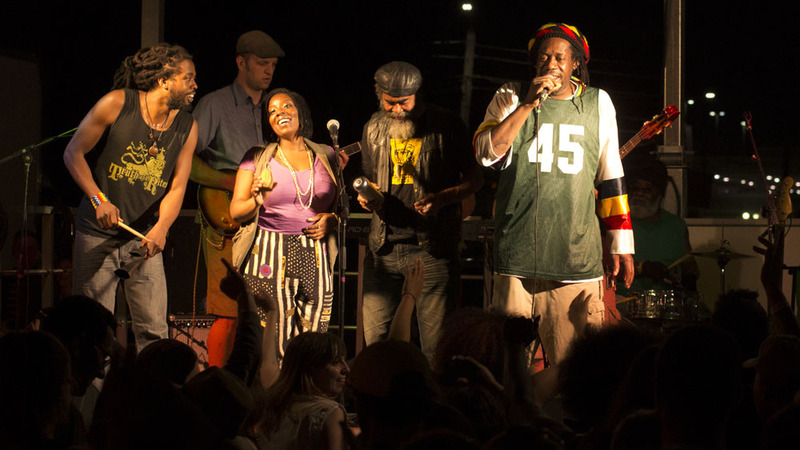 Performances include nationally touring artists and a veritable funk army of local musicians. 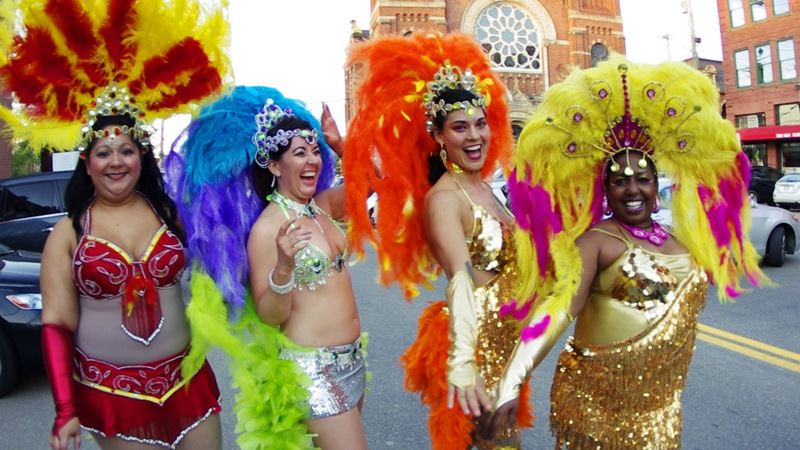 Pulsing Carnival drumlines and elaborate dances keep the energy high all day long. 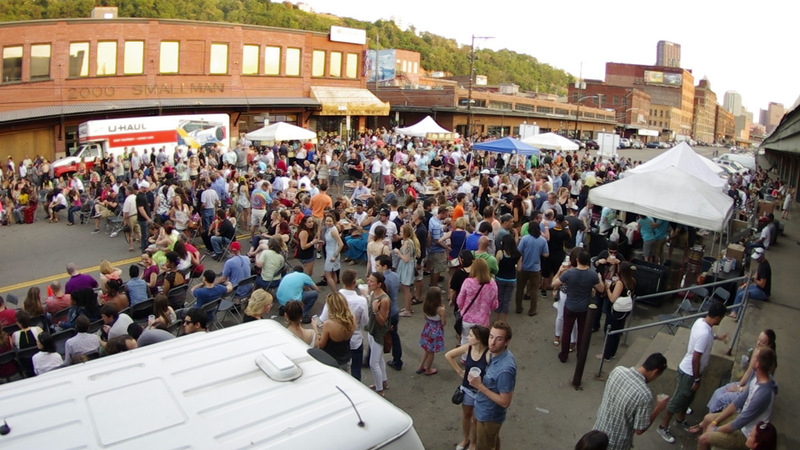 And since it’s a Kaya party, there will be ample festive drinks and spicy street eats from our oasis on Smallman. 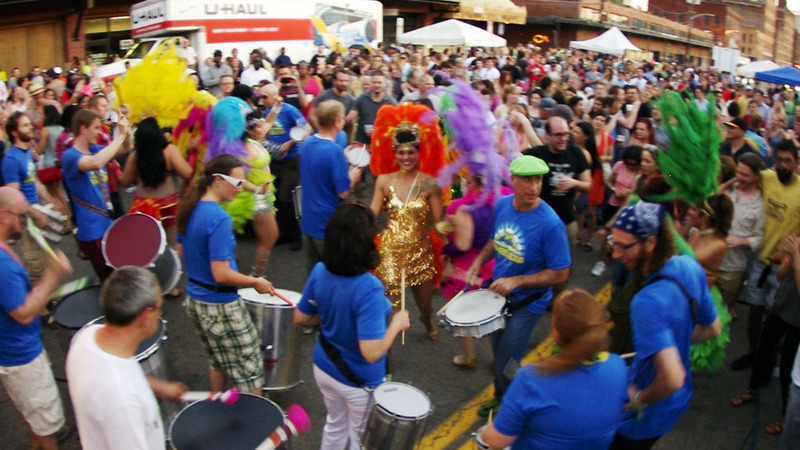 We hope you’ll join us for any part of our all day party, whether you prefer to have lunch and bask in the sunny Strip, catch the buzz in the late afternoon as the steelpan drums turn it up, or groove well into the funky night. It’s all good, mon! 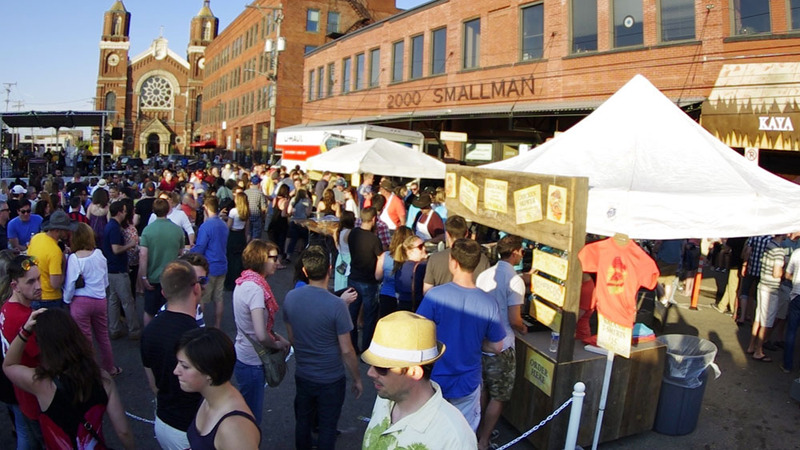 The festival is free to all ages. 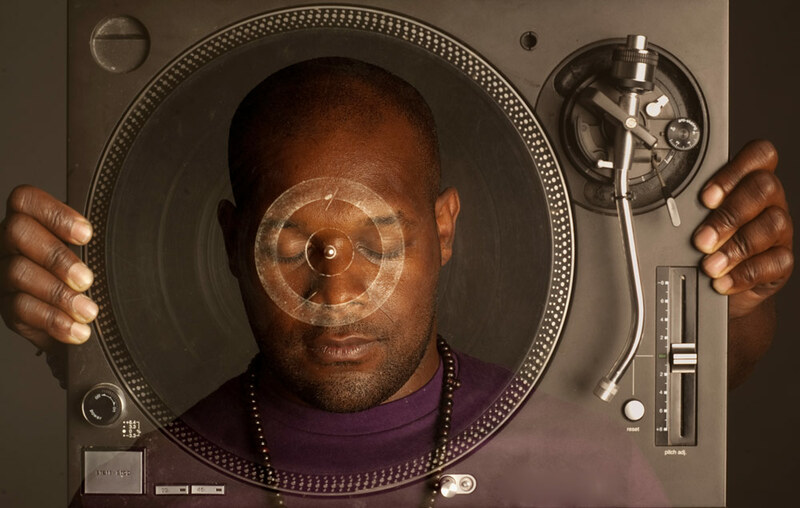 One of the world’s most accomplished turntablists, DJ Logic is widely credited for introducing jazz into the hip-hop realms. DJ Logic will be joined by MonoNeon on bass. Full DJ Logic bio. 2:00 Shaq Nicholson: funk-filled, blues-blasting, soul-singing sound. 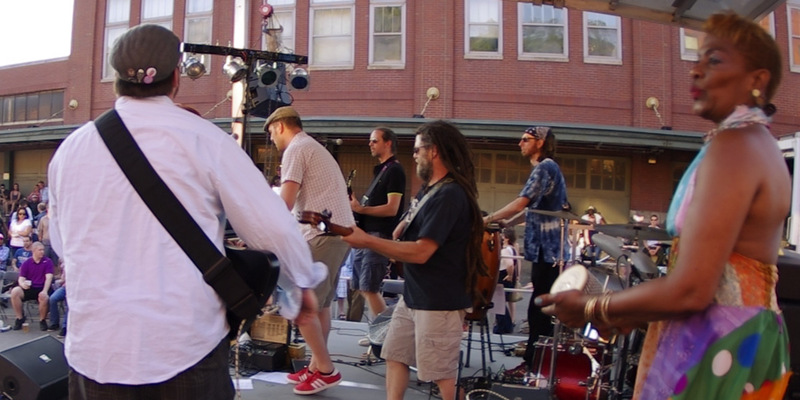 3:00 Brahctopus: 6 piece rock outfit playing originals from several genres spanning reggae, jam rock, psychedelic and funk. 4:00 The Clock Reads: Space-Jazz / Jam-Fusion. 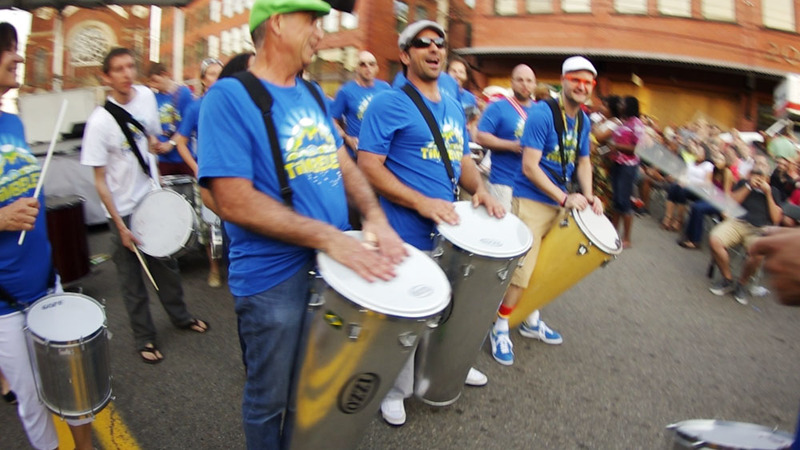 4:45 Timbeleza: A KayaFest tradition! 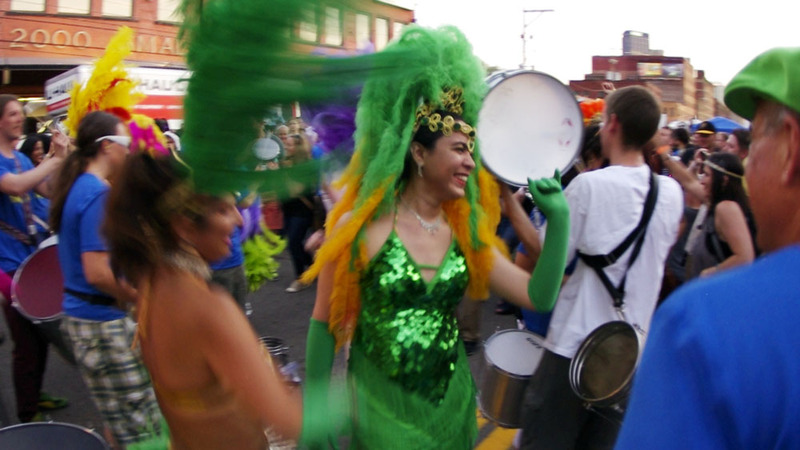 Infectious, driving Brazilian percussion brought to life by the fantastic dancers of the Pittsburgh Samba Group. 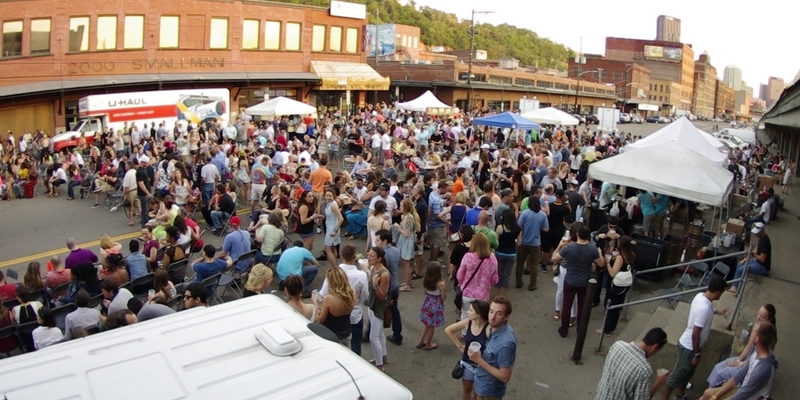 New this year, the Pennsylvania Resource Council with support from Sustainable Pittsburgh will provide services to make KayaFest a Zero Waste event. All food waste will be composted as opposed to going to a landfill. All serving wares will be of compostable products and composted as well. Stations will be set up around Kayafest and staffed by Zero Waste who will help separate landfill, recycling, compost. After the event, all compost will taken to Agrecycle. 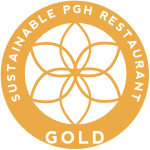 Kaya is a Gold Designated Sustainable Pittsburgh Restaurant. 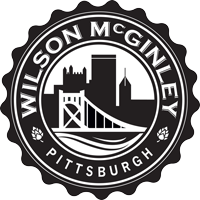 The free music program is made possible by generous support from Wilson-McGinley, Inc.